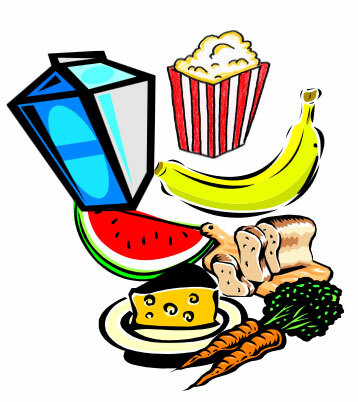 A guide for parents to help make healthy snack choices for their children. Dental decay has been linked to sweet and acid foods. Plaque bacteria in the mouth change sweet food into acid, which causes tooth decay. It is very important to reduce the number of times per day that decay producing food or drink is taken. Children at high risk for decay need to have gaps between meals, so they only eat five times a day. This reduces the amount of acid in the mouth. Drinks of water and milk are welcome between meals because they reduce acid on the teeth. Tooth-damaging foods and drinks are: sweetened drinks such as juice, cordial, Milo, Quik, Ribena, sports drinks, soft drinks (including sugar-free drinks), and sweet foods including dried fruit, fruit fingers, honey, jam, Nutella or muesli bars. Having these between meals or at school causes cavities. Children will remain at high risk if their diet is not modified. Frequent consumption of fruit between meals can damage tooth enamel, as fruit can be acidic. When children eat fruit between meals, it is advisable that they follow up with a small square of cheese or a drink of milk or water, as this washes out the acidity from the mouth. Going to bed with an apple in the mouth is not safe. – Rather than having lollies in the house, buy a treat for your child once a week (like a plain chocolate Fredo frog, an icy-pole or an ice-cream that is not sticky and it goes through the mouth quickly). Jelly snakes, Chuppa-chups or Minties are bad because they stay in the mouth for a long time and they are sticky. Have this as a rare treat at the end of a meal, not between meals. – Do grocery shopping without the children and think savoury, vegetable – crunchy, not sweet. – At parties, children should eat all the lollies at once. If unable to brush immediately, chewing sugar free gum for 10 minutes is a good alternative. This type of gum stimulates saliva flow that washes out the mouth. – If making lolly bags for parties, include sugar free chewing gum and non-sticky things. – Remember that it is the number of times that the teeth are exposed to sweet, sticky and acid things that is important, not the amount eaten.